Following my excursion into Indigo Prophecy, I said I would have to replay Omikron now. Well, I did. I wasn't kidding. Bet you thought I was. Yet I have a confession to make. When I first played Omikron on the Dreamcast, I never beat it. Yes, I know you must be disappointed. Especially after me telling you how awesome it is and how much I loved it and all that. I stand by all those things, and I think I had played it enough to say all that. In fact, I had gotten very near the end and then fizzled out on my conviction to finish. I think I've done that with a lot of games. Maybe somewhere in the back of my mind I loose interest in beating a game, because if I see the ending then that's really the end of it. Few games will give me a reason to come back to them. That is, unless I never finish it. So maybe it's my way of trying to trick myself into going through the whole game again. But I digress. The point is, that I enjoyed Omikron so much, that I didn't want to finish it, so that I could play it again. That's possible. Whatever the case may be, I started from the beginning. I actually managed to pick up a PC version of the game a few years ago for cheap. Now I was able to enjoy it even more. Since the game is about seven years old now (I can't believe it, I must be getting old), I was able to bump up the graphics settings to max, and run it at 1600 x 1200 resolution. I have to say it looked a lot better than the DC version on a TV, but that should be obvious. So in terms of graphics, I think the game has actually aged quite nicely. The only thing that betrayed it's age were the textures really. Yes, the models were certainly low on the poly count, but that didn't seem that big of a deal. I think if the textures were upgraded to nice high res versions, it would make a tremendous impact. I even tried to weed through the game directory to see if I could locate the texture files and edit them, but that proved to be impossible. The tools used for the game may have been proprietary. It's not like the graphics bothered me. I truly enjoyed that unique flare which Quantic Dream has become known for in my mind. The scifi design of Omikron seemed somehow European to me, and was even echoed in the French film Immortal based on Enki Bilal's work. Something about the French that seems to reoccur in their science fiction maybe. When the game was first launched I loved it for its innovation. It tried to combine the genres of adventure game, fighting game, and FPS all in one. The result wasn't entirely spectacular as was noted by others, but being the fan of all those genres that I am, I was not deterred. When a game tries to do too many things at once, it is not likely that it will fully succeed at being any of them. Still, I thought Omikron did come really close to doing so. I actually found all of those aspects sufficiently enjoyable. Not as much on the Dreamcast, but the PC version made all modes much more playable, and especially the FPS mode. One of the primary difficulties that the Dreamcast showed were in continually loading the large environments of Omikron. Loading pauses occurred every time you went through a door, which some drove some players nuts. After a while, I actually managed to ignore that part for the sake of my sanity and enjoyment of the game. The mind is so trainable you know. None of that was an issue on the PC though. With my recent upgrade, and my two gigs of ram, large environments were a breeze. There was rarely a pause during any portion of the game. This showed how well the Omikron engine was designed to make environment transitions as seamless as possible. A big deal for its time, when long load times were standard. Other slight glitches did occur from time to time. A few lockups and such. The absence of a PC patch is a slight disappointment, but at the same time a testament to the diligence of Quantic Dream in putting out a finished product. Unlike so many games that are rushed out and need a patch because half the users can't even install it. Omikron still possesses a strong story, though perhaps not quite the equal of Indigo Prophecy. I must admit that I was less enthralled by the plot this time around, but only because of knowing most of what was going to happen. The first time I played Omikron it was quite the opposite. The intrigue was high and many twists in the plot served to keep things interesting. Themes similar to Indigo Prophecy were present with a heavy focus on the occult, as well as your character's role in fulfilling a prophecy. Overall, the scope of Omikron was much greater than Indigo, and the game was also a great deal longer. Sometimes the length of Omikron seemed to be working against it. A lot of puzzles were present, with most of them story driven. But the second half of the game did provide puzzles that seemed more arbitrary and felt only like chores to be done in order to progress. I remember the days when games like Myst had me playing with pen and paper to decipher the clues and drawing diagrams to figure out the right sequence of symbols/buttons/whatevers to align/push/whatever. I found myself back in that mode a couple of times. I think I had more patience for that back then than I do now. So you're probably wondering whether I finished Omikron this time. The answer is definitely yes. I got to the point where I had last left off, and continued straight past it, never looking back. I was in fact surprised that I was so close to the end last time. I was glad to see a few new environments that I didn't get to before, and I made it to the final showdown with Astaroth. The big bad boss who is going to eat all of existence for breakfast. My first try to get him I had to figure out how to do it. Then I died. My second time I knew how to do it, and tried to actually pull it off. I still died. I think it wasn't until my fourth try that I finally managed to defeat the evil dude. He went down, I was the hero who saved the universe, and all thanked me for my courageous deeds. A little trite I suppose, but it was still nice to see a proper old fashioned denouement. The interesting thing about Omikron, which its characters will tell you time and again, is that it's not really a game. They tell you that Omikron, the game, is a portal to the actual universe where Omikron is. And that you the player, or your soul, is what inhabits the bodies of the characters you go through in the game. That's actually one of the major parts in Omikron, being reincarnated into different bodies in order to progress. And you have two objectives in Omikron. To defeat Astaroth so that (1) you can save their dimension, and (2) so that you can save your own soul. At the end, the remaining characters who helped you along tell you to come back any time and visit their dimension using the game as the gateway. That part of the experience is not often seen in games, and I found it to be refreshing. I almost had a Labyrinth moment when David Bowie's character said good bye ("Yes, should you need us..."). My final thoughts about the experience are very positive. As I have said many times, I have always had a soft spot for the art of Omikron. 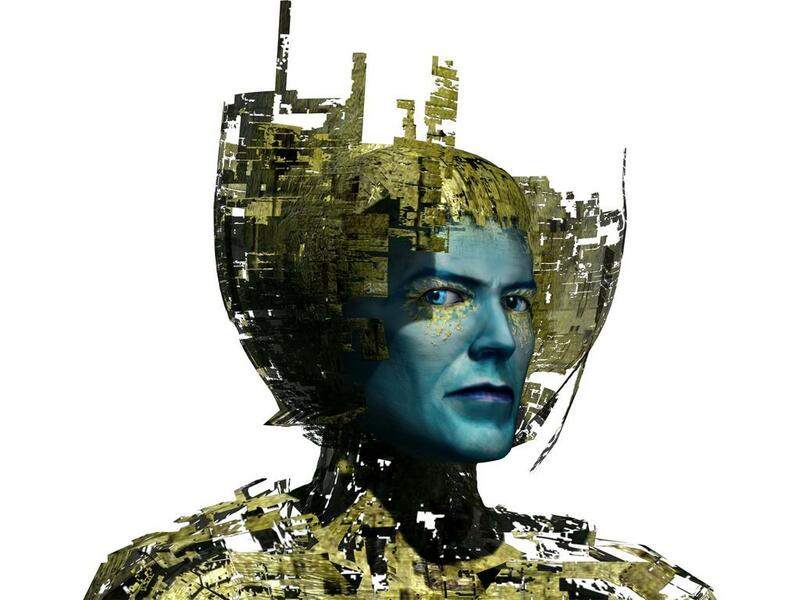 Not to mention that David Bowie did a number of the songs for the game. Combine that with fantastic ambient music which I would listen to any time, a great story, good characters, and a very unique and diverse set of ends and means to achieve them, and you have the rich and grand world of Omikron. Few games can boast of having these elements, and this is why I look forward to whatever Quantic Dream will bring us next.